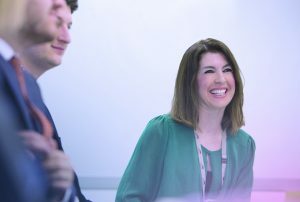 As Northern Ireland’s most experienced and knowledgeable HR experts, Peninsula offers a range of in-house HR training workshops for businesses and organisations across the country. We teach vital skills to your managers or HR staff, which they can put to everyday use to promote good people management and legal compliance while reducing your risk of losing money at a tribunal. Say you need to know the safest way to handle a staff grievance, or you want a clear explanation of the disciplinary process, tell us your situation and we’ll explain exactly what to do. Proper HR management means treating your people fairly in the eyes of the law. Get it right and you enhance your organisation’s reputation—and even its potential for growth. So to keep your people up to date with HR best practice, fair procedures and the latest legislation, get in touch about personalised Peninsula HR training sessions today.